One of the best opportunities working at Running Paint is meeting people from around the world and hearing about their goals, achievements & stories. Whether you are looking for a bit of inspiration or a gift to inspire/congratulate a loved one, we can help. We take the time to understand the personal and meaningful nature for each project to create something that can be truly cherished and loved. Corey is an Asics Front Runner and a blogger. We worked with Corey to create her own inspirational artwork. 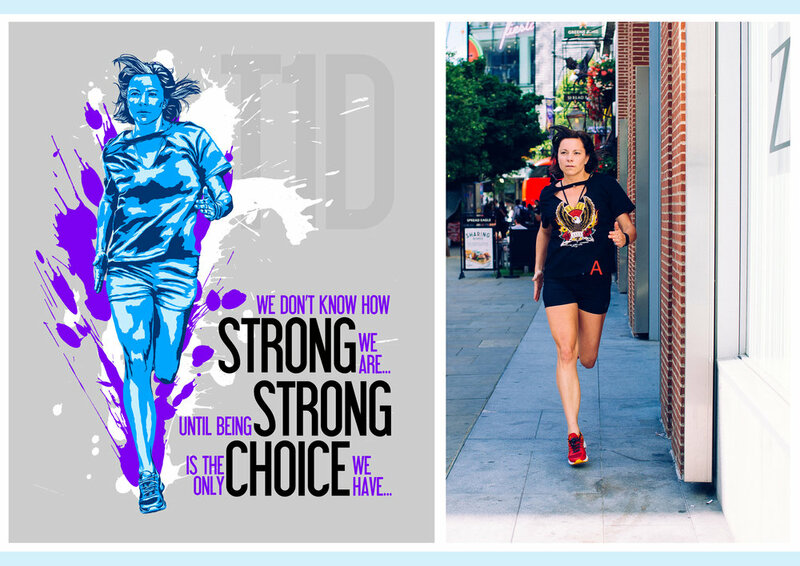 Click HERE to read Corey’s blog on why and how we created her special artwork. Helen was looking for a special Christmas present for her husband Rob. Helen contacted us after a friends past on our leaflet. Excited to learn we could complete a Christmas present for Rob in time, Helen met us at our art studio to tell us more about Rob’s achievements and how we could make this artwork extremely meaningful to Rob. We first met Tracey and her husband at our exhibition at the Wimbledon Art Fair. Where Tracey’s husband love one of our cycling art prints called Bike It List. Noticing we work on commissioned project at the art fair, Tracey contacted us at a later date to talk about creating her husbands version of the Bike It List Print. 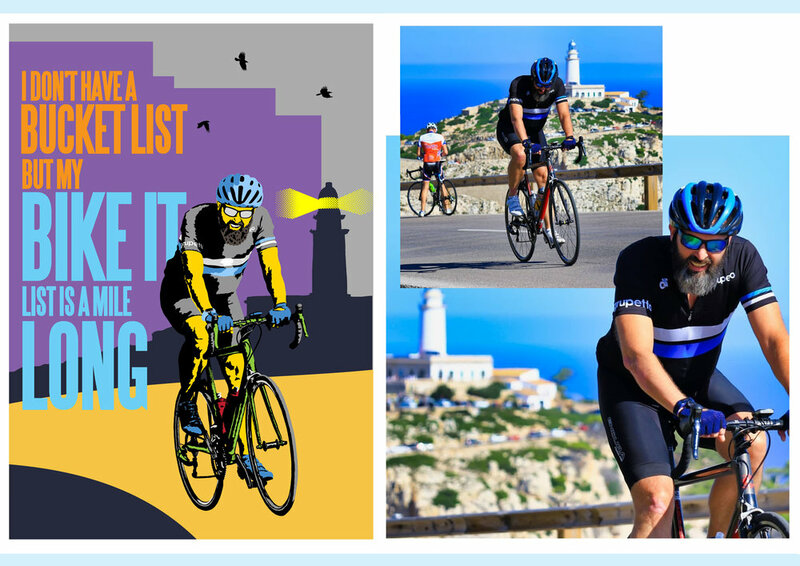 Tracey mentioned the importance of including his beard, he black and blue kit and maybe the lighthouse in the background whilst keeping retro cycling poster style.